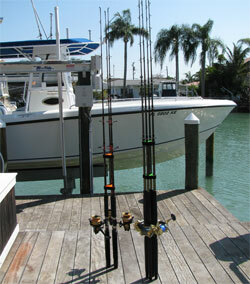 Our rod carrier systems are built to last through repeated sun exposure and exposure to salt water. The QuadRodz ®, TriRodz ® and BiRodz ® are all Great Gift Ideas!! 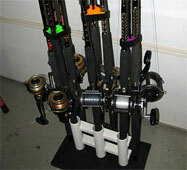 Are you currently making numerous trips to cart fishing rods & reels?? 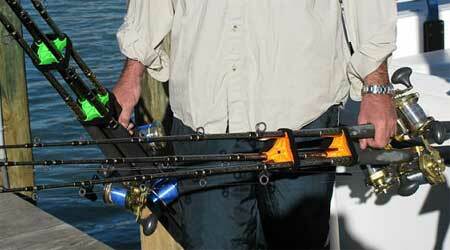 Want to avoid bumping, scratching, sliding and damage to rods?? Are you currently wrapping them with a single piece of Velcro?? 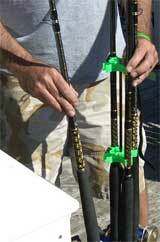 Tired of breaking off the eyes of your expensive rods?? Need a reliable fishing rod holder to carry and transport your rods?? 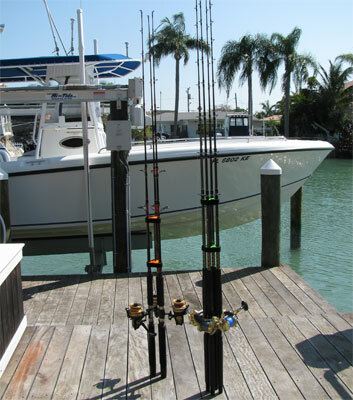 With our innovative fishing rod and reel holders, transport and storage systems, multiple rods snap into place at an equal distance to avoid excessive contact. Each slot has inserts that “grab” the rod to eliminate sliding and help accommodate slightly different sized rods. 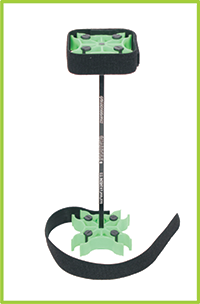 To lock them in securely, we’ve added a strong Velcro strap which wraps around each rod grouping. 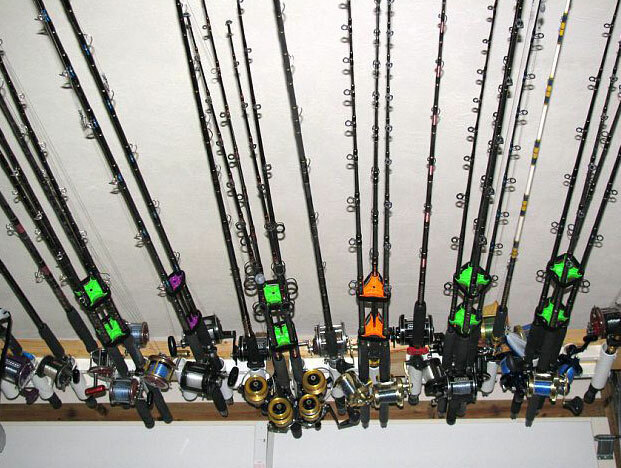 Not only does it make transporting a “snap”…..
of your stationary rod storage system to consolidate space. storage w/out complying with weight requirements! 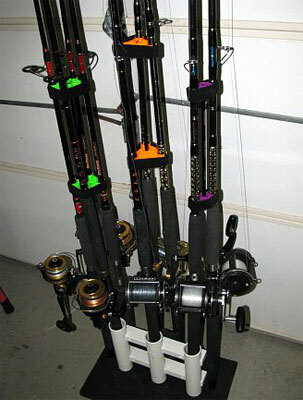 If you need to stop momentarily while transporting all of your fishing tackle, you can stand the QuadRodz® and TriRodz® upright to avoid laying your expensive rods and reels on the ground. 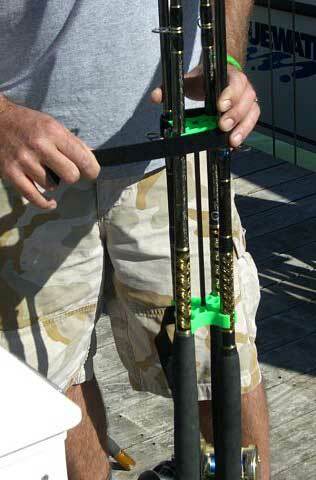 *DO NOT Balance rod systems upright near water’s edge. 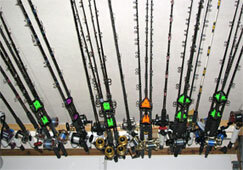 Rods may tip or blow over! Madera Marine proudly has 100% of production and assembly here in the USA as well as sourcing materials and hardware from US manufacturers. Try one of our simple yet innovative products today! From everyone at Madera Marine, we would sincerely like to thank you for your interest and we hope you enjoy our products. Good luck and tight lines!! !